“The situation is so urgent that we really need to try anything,” an MIT professor said. Many people see climate change as too big and daunting a problem to even think about fixing. Others are unconvinced that it's a problem at all. Scientists issue urgent calls to action, but, often, people are unmoved. Now, researchers say they have found one thing that increases motivation to battle climate change: a game. 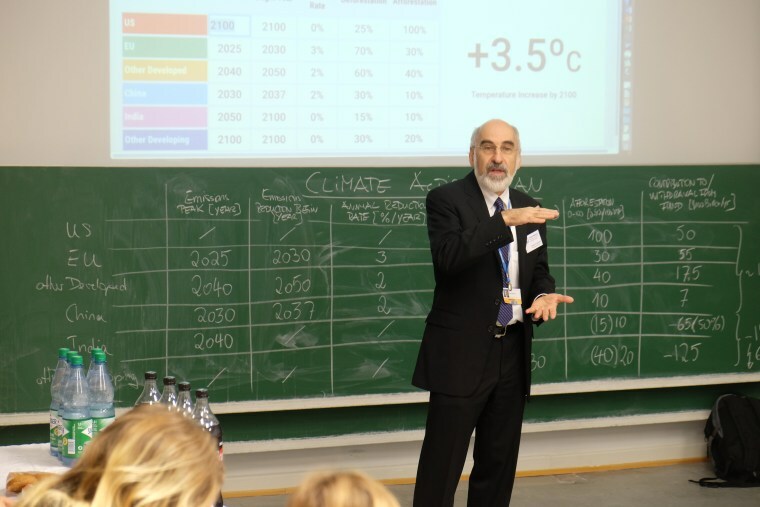 The World Climate Simulation is a role-playing game that thrusts participants into the roles of negotiators at an ersatz United Nations climate summit. It forces them to make decisions about how to lower greenhouse gas emissions and slow the warming of the Earth and shows them the consequences if they do too little. Some 43,000 people around the globe have played the game over the last three years. A new study sampling the responses of more than 2,000 of them found the game left players with a better understanding of climate change science, a greater sense of urgency and hope, and increased motivation to take corrective action. The study results last week from academics at the University of Massachusetts Lowell and MIT found the improved outlook crossed demographic lines, including political leanings. The findings come on the heels of another study that found that people learned more effectively about the impacts of climate change when they discussed those impacts in a social media channel that eliminated political party labels. The two studies may seem a far cry from a world where views on global warming are deeply entrenched, and often tied more to partisanship than to science or to practical solutions. A survey earlier this year by the Yale Program on Climate Change Communication reveals a chasm between how the most doctrinaire Democrats and Republicans understand climate change. Some 84 percent of liberal Democrats in the survey agreed with the view — held by the vast majority of scientists — that global warming is caused by human activities. Just 26 percent of conservative Republicans shared that view. The World Climate Simulation is the brainchild of Climate Interactive, a nonprofit formed by MIT management academics and former students who wanted to educate policymakers, business leaders and others. The group's training sessions over the last decade morphed into the game, in which participants take on the roles of U.N. delegates. The players give speeches, lobby and form alliances to try to strike the best climate deal for their countries. Some represent developed nations that emit the bulk of greenhouse gasses. Others portray people from the undeveloped world, who often endure the harshest impacts of warming. When larger groups play the game, participants also fill roles of industrialists, environmentalists and indigenous people. Just like real-world climate talks, the players sometimes get in shouting matches and stage walkouts. “It’s kind of like a Model U.N., combined with improv,” said Sterman, who sometimes plays the role of U.N. secretary-general. The game will be played in San Francisco on Friday, as one of the hundreds of events at the Global Climate Action Summit, hosted by California Gov. Jerry Brown. Of the 2,000-plus participants surveyed about their experience playing the game, 81 percent showed increased motivation to do something to combat climate change, the researchers found. The motivation appeared to come not so much from additional knowledge as from a sense of urgency to act, said research leader Juliette Rooney-Varga of the University of Massachusetts Lowell. The game, which typically takes four hours, has been conducted nearly 1,000 times in 78 countries. In three countries — France, Germany and South Korea — the game has been adopted as a resource for school teachers. Sterman said the game’s sponsors hope it continues to pick up momentum, spreading to more schools, businesses and community groups. Another piece of research, released last week by the University of Pennsylvania, also held out hope of communication across the partisan divide. The study found that in a controlled social media interaction, free of partisan identification, both liberals and conservatives were better able to forecast climate change trends after discussing research on Arctic sea ice as a group. Replicating those conditions in the real world would be challenging. But the key to more successful communication about global warming is for people to see each other's similarities first, before their partisan differences, said Damon Centola, a University of Pennsylvania sociologist who co-authored the study.